SIIG's USB 3.1 to SATA Hard Drive Enclosure - 2.5" is designed to add a 2.5" SATA HDD/SSD to your USB 3.1 enabled computer through a single USB connection. It instantly increases up to 8TB storage capacity to your system and delivers ultra-fast data transfer rate of up to 10Gb/s (2 times faster than USB 3.0). It also supports USB Attached SCSI Protocol (UASP) to improve reading and writing speed for optimal performance, great for high speed transferring large volumes of data between your external SATA HDD and the computer. This USB 3.1 to SATA HDD Enclosure is super easy to set up, no tools or driver installation is required. It is an excellent mobile storage solution to improve storage capacity and increase productivity. 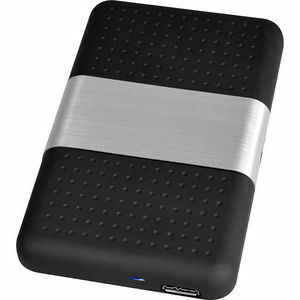 USB 3.1 to SATA Hard Drive Enclosure - 2.5"